Site Map - Elder Caring Inc.
You Have a New Hip: Now What? The Life Care Plan: Do You Have One? Are my memory lapses a sign of Alzheimer’s? Our Employee Assistance Provider (EAP) says they offer Elder Care services? How is Elder Caring different? How do you know if your parent is still able to drive safely? Should they be driving? What should you look for? Who do you contact? Seniors and Mental Health: Depression is part of aging right? WRONG!! Are there government programs to help pay for safety and accessibility home renovations? I am worried about my mother’s driving abilities. She seems to be forgetful and I am worried she is no longer safe to drive. What can I do? Disability Tax Credit (DTC), Caregiver Tax Credit (CTC), Do I Qualify? If my daughter paid for my medical expenses, can she deduct these for her tax return? Can I deduct fees paid for a personal support worker? How do I know when it is the right time for someone to be admitted to a nursing home? How can you tell that it may no longer be appropriate for an older person to live at home? My elderly parent seems very forgetful. He forgets to take his medication and he frequently loses his keys. I am worried. What should I do? My parents live in another city. They are not well. I am unable to fly to see them every time there is a problem. Can you help? Caregiver Tax Credit (CTC), Disability Tax Credit (DTC): Do I Qualify? A Cup of Care: A Pinch of Hope: Spending holidays with a family member who has dementia. Elder Caring Inc. Contracted by Compassionate Employer for Employee Assistance Programs. Will The Elderly Bankrupt Canada? Having The Talk, From The Birds And The Bees To The Will, Estate And Final Wishes. Can A Family Caregiver Be Paid? How Can Employers Assist and Retain Their Older Employees? Watch Out For Scammers: Protect Your Parent’s Money And Assets. Sibling Rivalry- All Grown Up. Did I Mention That January Is Alzheimer’s “Do Not Forget” Month? Does Love Make the World Go Around? Which Is The Deadliest Room In The House? LONG TERM CARE INSURANCE – Is It An Overlooked Consideration in Your Estate Plan? Advocacy Is Almost As Important As Having A Doctor. The Budget And Our Current State Of Affairs- How Are We Doing? For Richer or Poorer in Sickness and In Health….Who Will Be The Caregiver? What Type of Paid Care Provider Do I Require? Financial Abuse, When Numbers Don’t Add Up. Take The Stairs But Don’t Fall Down, Falls Prevention Is All Around. Second Marriages: For Better Or Worse……. Personal Support Workers- Who Are They? Could not retiring be hazardous to your health? The Right To Decide- Life or Death? Driver, driver behind the wheel, are you safe or do we make a deal? Do you work out of the town and are worried about your aging parents? Caregiver Agreements, What Are They? What is National Advance Care Planning Day? Who Needs Home Care and What Is It? A Pain in the neck or a pain in the a …, a few reminders about pain. Can You Get To See Your Family Doctor? Is The Thought of Moving Making You Sick? Should There Be A Senior’s Aid Society? Normal Aging, Mild Cognitive Impairment or Dementia? The Older Driver- Now What? What’s Your Point of View? Is a cane an ‘enabler’ or a ‘disabler’? Keys in the Sugar Bowl? A ‘lost’ boot? Informed Risk: Whose Decision Is It Anyway? It is Carer’s Week in the UK, So Who Cares? You Know You Have Been in The Business A Long Time When…. Death, Taxes & If We Are Lucky, Growing Older. A National Seniors Strategy- Of Course!! March Break = Break from Winter? 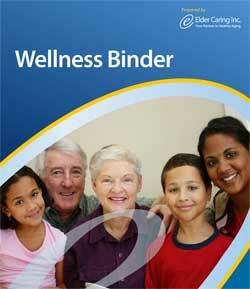 What Can a Reputable Home Care Organization Provide For You? Mosaic Home Care Ltd. and Elder Caring Inc. launch joint venture to add a new dimension to Care Management Oversight Services for the Canadian Homecare marketplace. Mothers- We all had one…..
Planning Ahead for Elder Care: Who is Helping Whom? Canada’s Best Workplaces- Does it include employed carers? Is it worth paying an expert to help you navigate the health-care system? What does ‘Alternative Level of Care’ mean? Caring for Caregivers- Survey Says……..
Do You Know Any Jay Walkers?